Philip Scriven is widely regarded as one of the finest organists of his generation, and is highly respected as a choral, orchestral and operatic conductor. 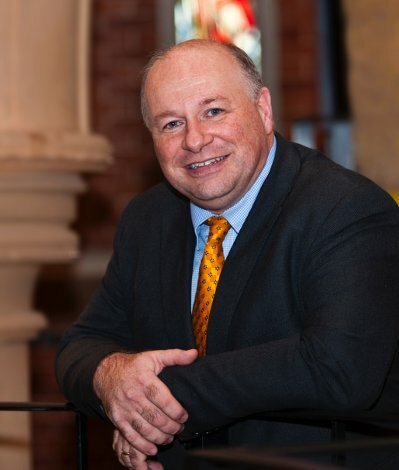 He is currently Organist-in-Residence at Cranleigh School, co-founder and Principal Conductor of the Darwin Ensemble Chamber Orchestra, and Assistant Conductor and Accompanist of the world-renowned Bach Choir, combining these posts with a freelance recital career which takes him all over the world. He has made numerous recordings, and his two latest CDs of jazz-inspired organ music and a transcription of Holst’s “The Planets” are soon to be released. His CD “Piping Hot” was praised in “Gramophone” magazine for “the outstanding quality of his playing … good-humoured and sparkling … a joy to listen to”, and he recently performed transcriptions of Tchaikovsky's 4th Symphony and Stravinsky's "The Rite of Spring" as part of the Grand Organ Festival in Westminster Cathedral.